I wrote publicly to Anwar in this blog on 26th September, 2018. Amongst other things, this is what I said. “Please understand that post 9th May, 2018, we, the rakyat, are no longer the people so long suppressed by BN. We fully understand and have experienced the sheer power in our hands when we come together to bring down a hated regime. Yes, we are fatigued from that GE and the string of by-elections that we have had to go through recently. You spoke then of Ketuanan Rakyat. We live it today. We have experienced and fully understand people power”. Like me, I am sure many of you, on 9th May, 2018, voted with only 1 thing in mind. To get rid of UMNO / BN at all costs. Since then, we have had to endure 3 by-elections, as state assemblymen in those constituencies passed away. The by-election in your constituency was contrived, by the resignation of the man you all voted in, on 9th May, so that Anwar might get himself into parliament. As he sees himself as the PM-in-waiting. I ask you therefore to see this by-election for what it really is. Some 75,000++ voters will, on 13th October, 2018, vote in a referendum of sorts to decide whether you want Anwar as your 8th PM. In that sense, you are voting for the rest of us. Now, I cannot speak for the 15 million++ other registered voters or whatever number it stands at now, so I will just speak for myself. 2 things I have observed during the campaign period that have left me with concerns, hence I now write to all of you. For a long time, voters, especially in areas starved of development, gave their votes to UMNO/ BN because they were seduced with promises of development should they give their vote to the UMNO/ BN candidate. 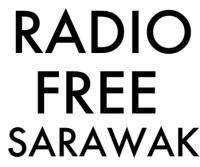 Remember Najib’s infamous “You help me, I help you” sales pitch in Sabah Sarawak, I think, and how the opposition was screaming “dirty politics” and “election offence”? Sadly, voters in the past never focused on the state of the nation, and fell to such seduction, giving their votes in return for promises of local development. Only to find those promises never fulfilled. Ask the voters in Sabah! That was part of the reason why UMNO / BN could not be removed for so long. That changed on 9th May, despite Najib’s promises of all sorts of goodies. Voters woke up to this ruse. Anwar has, during the campaign period, been promising all sorts of development to be brought to PD. I ask you now, how different is this from Najib’s “You help me, I help you” sales pitch? In my view, no difference. If you share my view, do not succumb to this, please. You have the opportunity now, on our behalf, to send a message to politicians that we will not tolerate “dirty politics” and “election offence”, as so categorised by many of the leaders in the current ruling coalition. Please do not go back to that way of thinking of voters in the past who fell for empty promises. This is the first question I want you to ask Anwar when he comes knocking on your door for his vote. If he replies that he will, PD voters should contrive to test the word of the PM-in-waiting. On behalf of the nation. My second concern, arising from campaigning this last week, is this. Why is the nation in such a bad state, where the new government, on taking office, has said the finances are bad, and in the years prior to the change of government, whilst numerous other countries were taking action on 1MDB related offences, our institutions of state did nothing? My answer : those institutions had been compromised. And when, it seems, they were not, they were neutralised by Najib swiftly. Remember how Muhyiddin, Gani Patail and the then MACC chief were removed in 2015 when it was rumoured that Najib was going to be charged? Thereafter, the new AG Apandi gave Najib a clean bill of health. Institutions and authorities that were in place to uphold Rule of Law had been compromised to look the other way and shut both eyes in the face of wrongdoing. 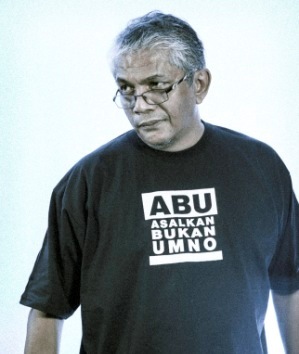 Now, BERSIH and the new EC chair, Azhar aka Art Harun have been critical of some aspects of Anwar’s campaign. 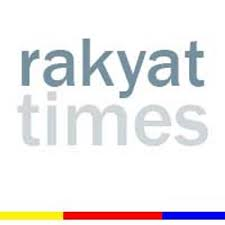 Malaysiakini reported yesterday that Art had “reminded cabinet members and politicians holding government position that they should not indulge in campaigning activities during working hours”, in the PD by-election. Art also observed that “announcements of development projects in Port Dickson or pledges if a particular candidate wins could possibly become and election offence and could be used as grounds for invalidating the election”. This, from no less than the chair of the Election Commission, the institution entrusted with the duty to the rakyat to ensure free and fair elections. BERSIH had also made similar observations earlier. FMT reports today that at a dinner in Lukut last night Anwar said : “We respect Bersih and the EC. Because of that, they should not abuse their power. Don’t be too much”. Please take time to read the rest of that FMT report. My questions for you to ask him. How have the EC or BERSIH abused their power? How have they acted excessively? By his remarks, was he trying to intimidate our Election Commission and our BERSIH? Was he trying to get the EC to look the other way, to shut both eyes, to whatever he did and said in PD, that was in contravention of election laws? The rakyat got rid of UMNO/ BN on 9th May, but does he still have too much of the ways of UMNO/BN in him? Please ask him this as he comes a-calling for your vote. You need to know the answers to these before you vote on 13th October. We need to know, too. You are, after all, voting for the rest of us. Excellent observations Haris. You have succinctly clarified why Anwar is a wordsmith with dictatorial tendencies. Please get this article translated & published in in our Chinese & Tamil print media & on as many social media platforms as possible. Oh Boy! Oh boy, oh boy, oh boy!! A post I can agree with wholeheartedly!!! If only you could write as well in Malay. Sigh!